Prasad Kamath has over 19 years of industry experience in both the IT and BPO industries with strong competencies in program and project management, business analysis, agile practices, usability engineering, software delivery, information security and business continuity. 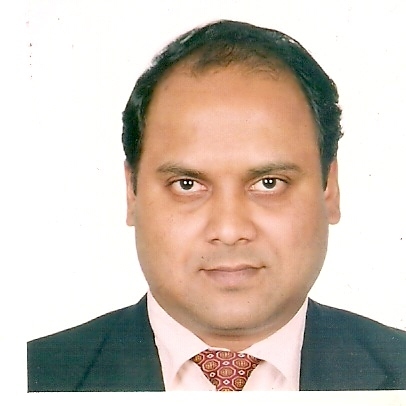 Prasad is the first and currently the only professional in India to acquire 3 global business analysis credentials – IIBA® CBAP®, IREB® CPRE-FL® & CPRE-AL® and the only professional in India to acquire 3 global program management credentials – PMI® PgMP®, APMG MSP® Practitioner and Managing Benefits® Practitioner. Prasad is also the first in the world to have acquired the CPRE-AL® (Elicitation &Consolidation) credential in the English language. He has delivered more than 100 business analysis programs over the past 4.5 years, including 10 different business analysis courses spanning all the 6 IIBA® BABOK® Guide knowledge areas and trained more than 1200 professionals on business analysis.Over these years, he has assumed roles in the capacity of Director & Global Head – Enterprise Risk Management, Deputy General Manager, Head – Account PMO, Delivery Manager, Project Manager and National Technology Head. In his last role, he was the Global Director and Chief Information Security Officer with a global IT services company. He has managed multiple types of IT projects like full development life-cycle projects, testing projects, defect prevention projects and maintenance & production support projects in the onsite – offshore model for global customers. recommend him as a corporate trainer for CPRE-FL." "Prasad kamath is a good trainer. I attended "CPRE-FL® Certification Boot Camp". It was excellent, good study material and I could clear the exam very easily."